Purchasing a home and then owning your home is the great Australian dream. 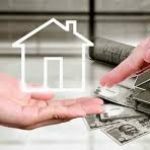 Outright home ownership is ultimately what we all strive for, many of us struggle to pay off our mortgage. If you’ve just taken out a 25 or 30 year mortgage, by being disciplined and committed to the loan repayments in the early years, you could cut as much as 10 years off the life of the loan. There are many home loan options available in the market place. As a rule of thumb, look for a home loan that has a competitive interest rate, flexible repayment options and minimal fees and penalties. In addition, go by the loans ‘comparison rate’ rather than the ‘advertised rate’. The comparison rate will show you what you will really pay including any interest and fees. Switching your monthly repayments to fortnightly repayments equates to making 13 months’ worth of repayments a year rather than twelve. Over a 30 year period, paying fortnightly calculates to paying off your mortgage roughly two and half years earlier. The primary way to pay off your mortgage sooner is simply to pay more. Consider adding any bonus, such as your tax return, to your mortgage. The more you put into your mortgage, the faster your loan will be paid off. Whenever you have a little money to spare, put it towards your loan. You must consider though that most fixed rate loans have restrictions on how much you can repay, so be sure to keep this in mind when planning any additional repayments. 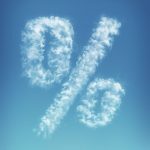 Most variable interest rate home loans have a loan feature that includes an offset account and they are a great way to reduce the amount of interest you will pay through your savings. An offset account can operate as an everyday transactional account adjacent to your home loan account. Here’s how they work. If your home is worth $700,000 with interest charged at 4% and your home loan has an offset facility with a balance of $50,000 – instead of receiving interest on the deposit of $50,000 and paying interest on the full balance of the mortgage – the interest is only charge on the first $650,000 of the mortgage ($700,000 less $50,000). Sometimes saving thousands of dollars can be as simple as asking your lender or mortgage broker for a lower rate or switching from a variable loan to a fixed rate loan. By switching to a lower rate, you could save on your repayments – helping you pay off your loan sooner. We all dream of owning our home outright and by being disciplined and taking these simple steps you can go a long way to achieving that dream. With interest rates at their lowest for more than five decades now, there are some very attractive rates available. The best thing to do is to compare rates from all the lenders, let the team at Verge Finance assist you by doing the leg work for you.